Social media and digital content marketing have blindsided industries and organizations in every corner of the world. Somehow, the inbound marketing revolution wasn’t televised and corporations large and small are still reeling from their realization that traditional advertising simply stopped working. In 2015, no one wants to be “sold” anymore. If you’re a startup or SME, you should be enthusiastically celebrating this transition to pull marketing. It’s levelling the playing field and paving the way for a true meritocracy in the business world: those that add the most value to their prospective clients will win the most marketshare. However creating insightful and engaging content that adds value to your audience is increasingly becoming par for the course. Since the secret is out, creating great content is NOT the end goal. Remember, it’s called content “marketing” – we’re not creating content for the sake of creating content. We want our audience to ACT and in order to act, we need to get our content in front of their faces. While this one is obvious, most companies fail to take full advantage of their LinkedIn company page. First, make sure it looks good. This is the face of your brand on the world’s largest social networking platform for business. 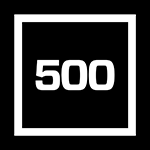 It’s also a really easy way for prospective customers, employees and investors to “follow” your companies progress and track your growth. Once your profile page is looking good, never miss an opportunity to share your brand’s content with your growing community of followers. You know that amazing blog article, infographic, video or slideshare you spent a respectibel amount of time and resources to produce? By posting it to your profile page all of your followers will see it in their news feed. Then, make sure your employees, family and friends are engaging with the post and you’re not missing any new comments by potential customers. You’ll also have the option here to “sponsor” your posts to boost engagement. This can be a great tool to expand your reach and put your best content in front of an audience you’re not directly connected to. Just make sure to measure the ROI. LinkedIn sponsored posts are still relatively new and they don’t come cheap. Set a modest budget to start and make sure the campaign is having the desired impact. Your staff is arguably your most important asset. They are the face of your franchise, the first point of contact with new customers and the people you rely on to make your business run. 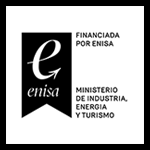 Run an audit of how each employee is showcasing your brand within their personal summary, job title and current company description. While you likely shouldn’t demand control over their entire LinkedIn existence, you clearly have the ability to direct and influence how they feature your company on their personal accounts. In some cases, you can pass out a standard description of your company that each team member can add to their profile, however it might be best to segment your employees based on their activity and network on LinkedIn. Then, pass them useful and relevant content they can publish to their personal profile. Things like case studies they were a part of or a fun corporate video showcasing your company’s culture can make a powerful impact on whomever views their profile. Remember, each employee has their own personal brand and more often than not they’ll have powerful connections lying undiscovered in their contact list. 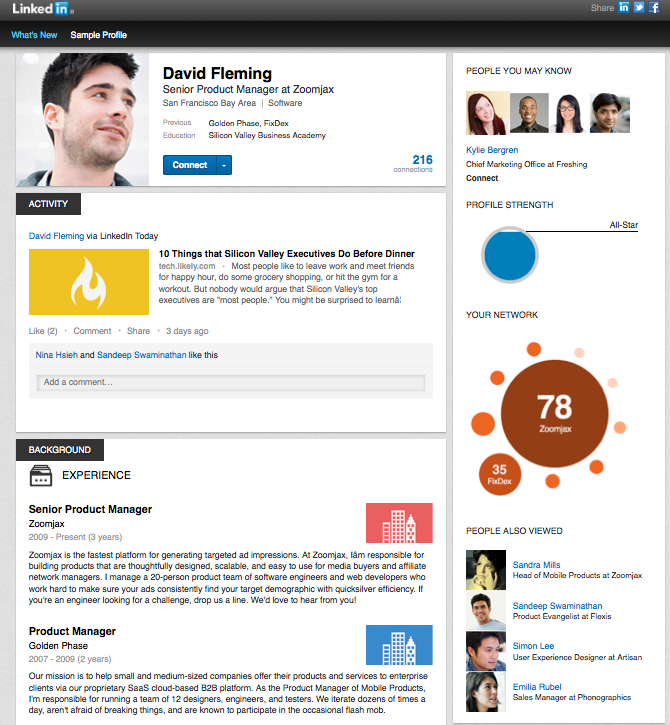 Pulse is LinkedIn’s Publisher Network tool, similar in design to a personal blog, but hosted on LinkedIn. Everyone is able to publish on Pulse and your posts will appear in the personal timelines of all of your connections. In certain cases, LinkedIn HQ picks up on your post and publishes it to a much wider community. For business, the best way to use Pulse is to republish all or a portion of your blog articles, case studies, white papers, infographics and videos directly to Pulse. If you’re going for pure thought-leadership and credibility, don’t be afraid to publish the original content in its entirety (images and all) on Pulse. If you’re main objective is conversions and increased traffic, than a teaser version of the content (1-2 paragraphs) with a link back to the original post is the best. Same as before, make sure to strategically select which employees should publish which piece of content to their Pulse followers. Don’t duplicate the same post to multiple employees, but encourage everyone to like each other’s content and engage in the comments section. You want to maximize discussion and engagement and sometimes you need to provide the kindling to get that fire started. One of LinkedIn’s most powerful, and often overlooked, features is their robust database of “LinkedIn Groups”. LinkedIn groups let members connect and discuss over issues and ideas that are important to them. Groups can be public (open) or private (closed), the latter requiring an invitation or approval process to join. These Groups are powerful channels to engage with likeminded professionals and seek out the influencers in your industry or local city. There’s one caveat. You’re not allowed to self-promote. This is an unspoken rule for the majority of LinkedIn Groups and a surefire way to make people hate you and your brand. Instead, focus on bringing value to the people you are trying to reach. You can do that in 3 main ways: Inform, Assist, or Entertain. Either tell them something they didn’t already know, help them accomplish THEIR goals (not yours) or make them smile. If you’re going to extract value from LinkedIn Groups you need to bring something to the table first. Be genuine and don’t, UNDER ANY CIRCUMSTANCES, try to disguise your identity or pretend to be a customer when you’re really an employee. People have a low tolerance for BS and you stand to take a major hit to your online reputation. 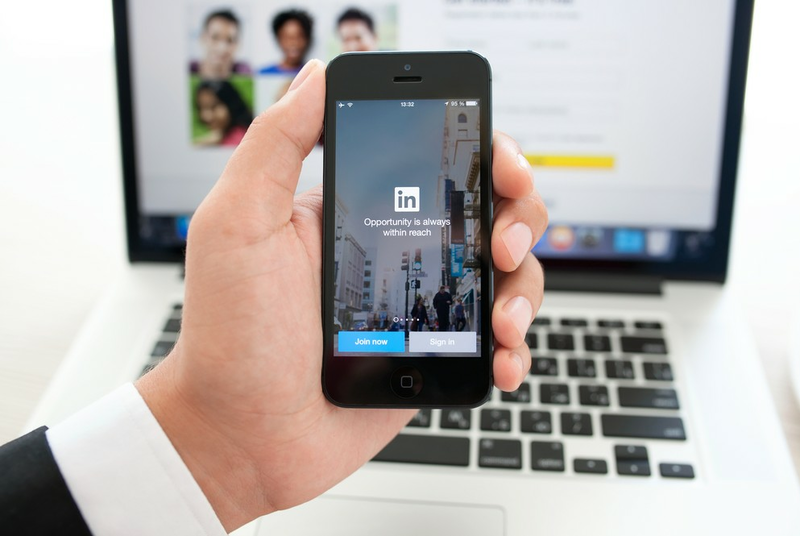 LinkedIn is an immensely powerful marketing tool and should be smack in the middle of your social media strategy. It’s not just a recruiting and sales tool anymore, and certainly don’t dismiss it as a B2B-only platform. 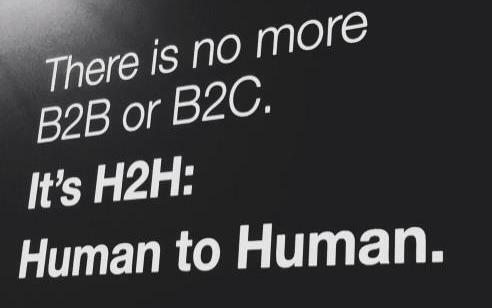 When you break down the lables, it’s not B2B or B2C communication that matters, it’s H2H, human-to-human. Now, what are your LinkedIn tricks?